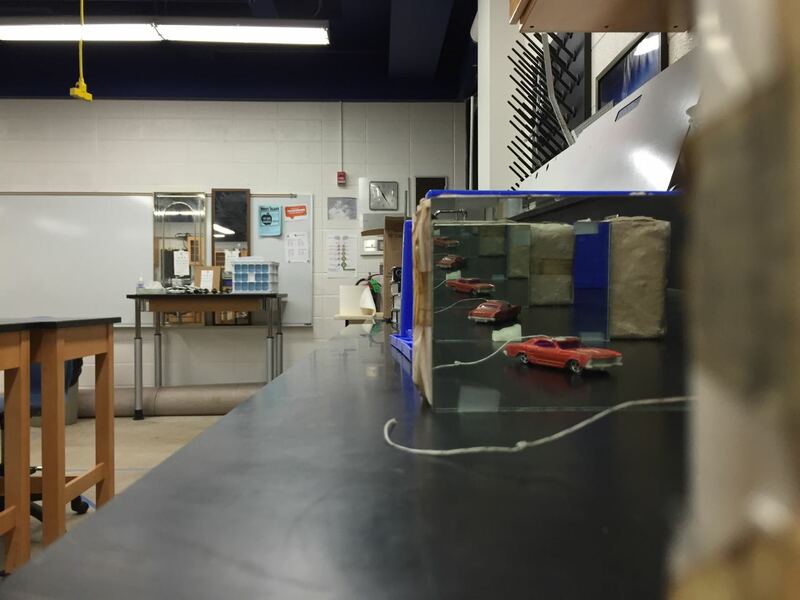 Today, AP Physics 2 students completed the lenses lab. I was at a 6-12 science curriculum meeting; so, I left them with the same equipment as they had for the mirror lab but substituted lenses for mirrors. I’ll find out on Monday if they found the similarities of the properties of the images formed by lenses and by mirrors. My colleague and I spent a portion of the day sharing bits and pieces of Modeling Instruction with 6th and 8th grade teachers. We did an activity with the constant-velocity buggies and Video Physics on iPads to create graphs of position vs. time and velocity vs. time. We then connected the video annotated with the position of the buggy to that of a motion map. We also shared interaction diagrams, force diagrams, and LOL diagrams. Everything was really well received and there is interest in a longer workshop in the future. It would be fantastic if students were exposed to these representations in 6th, 8th, 9th, and 11th grades! A group of students and I had a really good discussion about how the observed phenomenon can be a combination of refraction and a lens effect due to the curvature of the container. 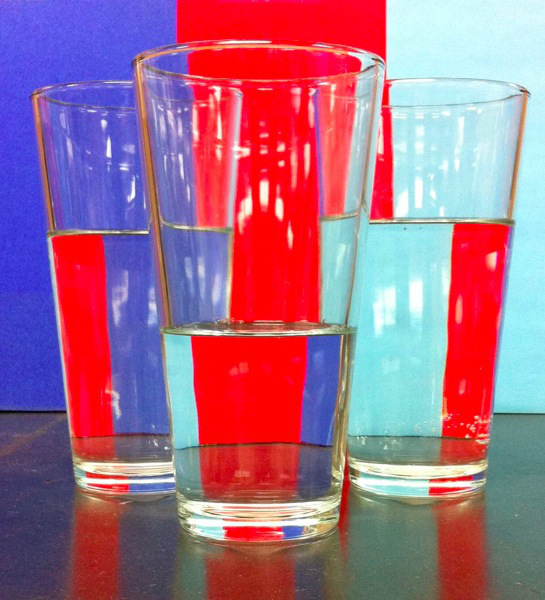 I need to purchase some rectangular prism containers in order to demonstrate refraction without lens effects. Specifically, the pencil in water and oil and companion station to the three glasses in front of the colored paper would benefit. Today, we started by comparing observations from the mirror lab and looking for patterns. 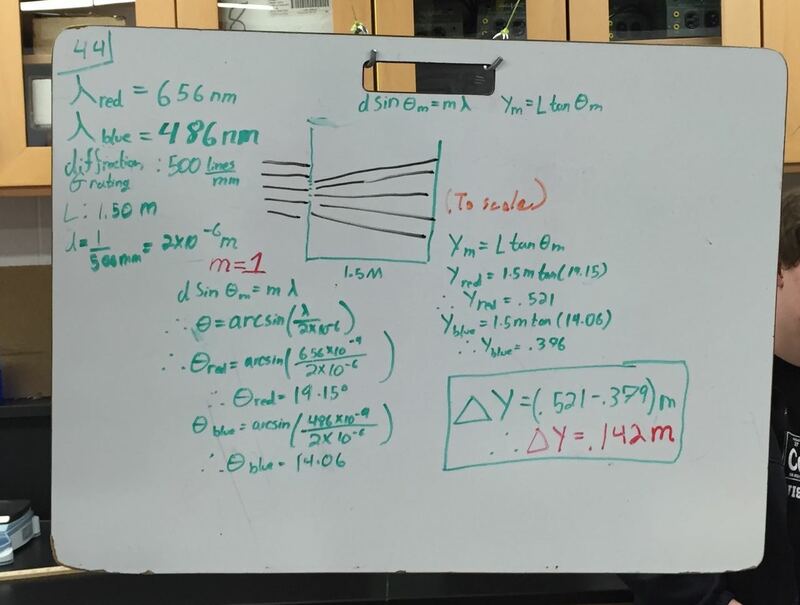 After summarizing the properties of images formed by spherical mirrors, we worked on constructing ray diagrams for concave and convex mirrors. We drew three different cases step-by-step together as a class. 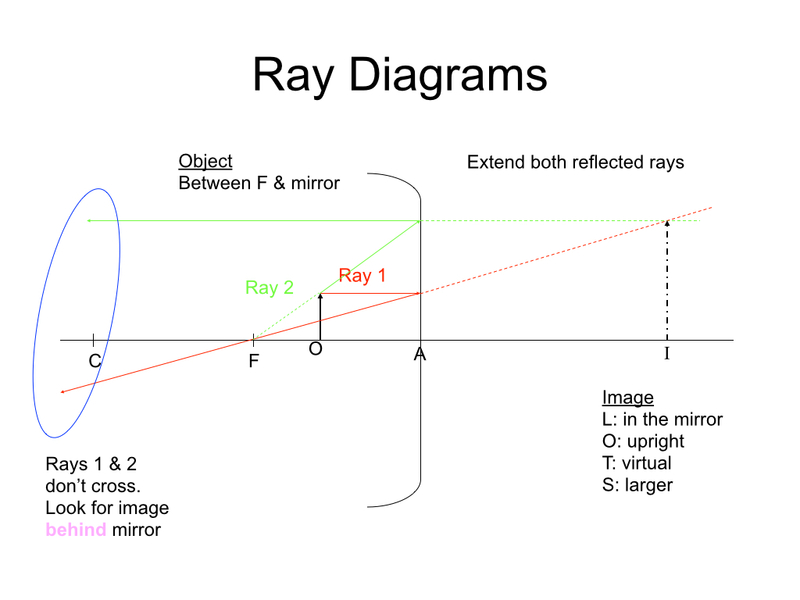 After drawing ray diagrams, I presented the mirror equation. 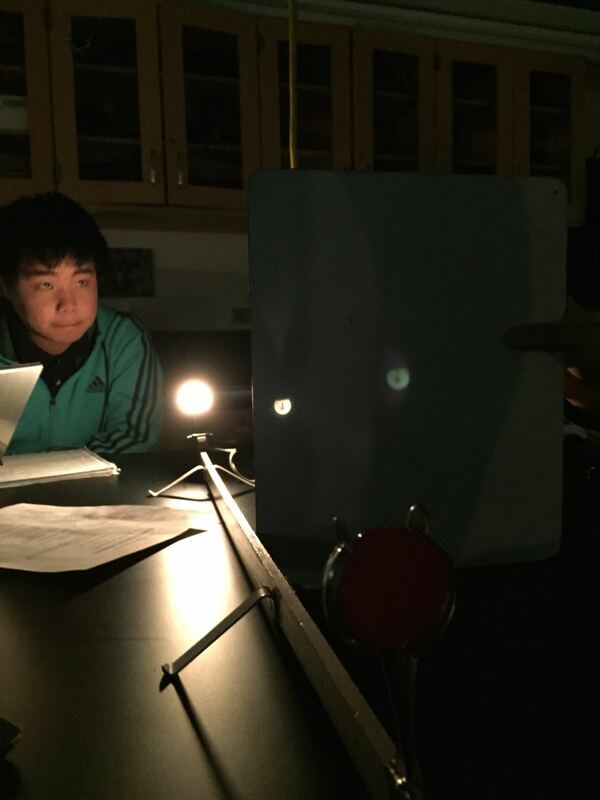 Students now have three experiences with geometric optics – the lab, ray diagrams, and the mirror equation. 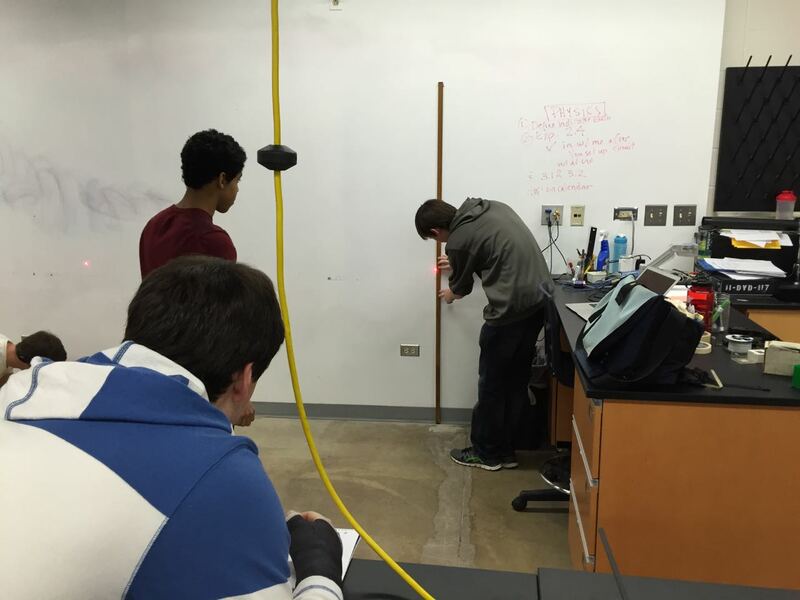 Today, AP Physics 2 students explored reflection activities as a introduction to geometric optics. Unfortunately, I was off-campus and couldn’t provide guiding questions to help them explore the details of each station. I hope at least they found the various stations interesting. 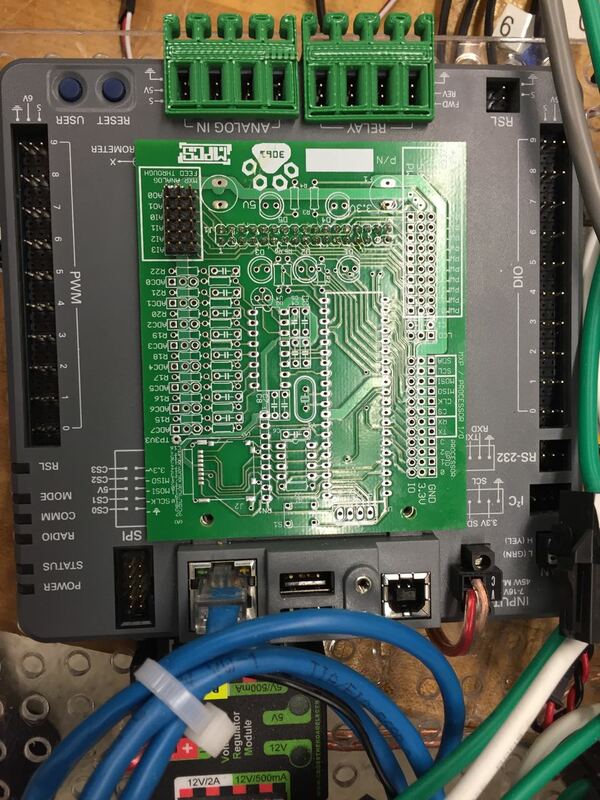 This optics unit is large enough, that I decided to have two exams – one on physical optics and one on geometric optics. Today, was the physical optics exam. Historically, I’ve presented geometric optics before physical optics. This year, to align with the Knight text, I presented physical optics first. Unfortunately, the version of the exam that I copied had a handful of refraction questions! As a result, students ended up with a shorter exam than intended once I told them which problems to skip…. Today, I had hoped to spend most of class engaging in peer instruction of thin-film conceptual questions. Instead, we spent most of class discussing the electromagnetism and electromagnetic induction exam which I passed back today. Students had a lot of questions beyond the broad feedback that I wanted to share with the class. Always hard to strike a balance between spending time in class going over an exam about which most students don’t have any questions and giving students an opportunity in class to ask questions. Today, given the overall performance on the exam, I leaned towards to later.